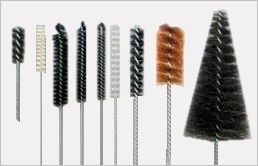 Often called test tube brushes, the applications and uses for TIW brushes are extensive. There are many styles and options available. Some of the basic information needed for design.